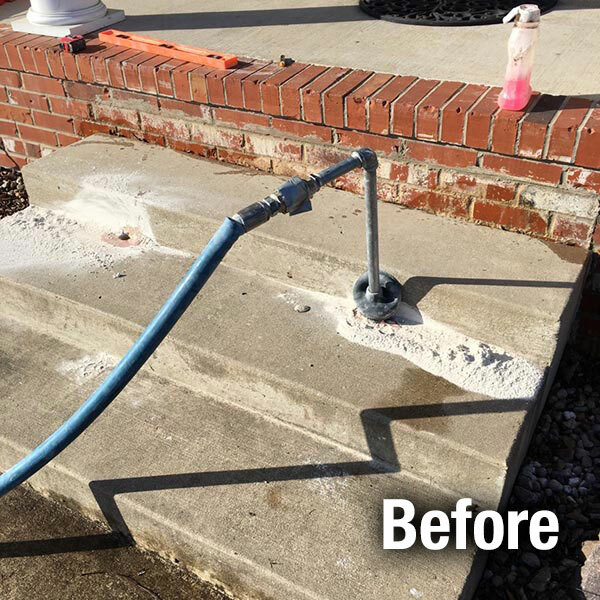 A-1 Concrete Leveling Cleveland West can lift and restore your uneven steps, using the A-1 patented concrete leveling and restoration process. 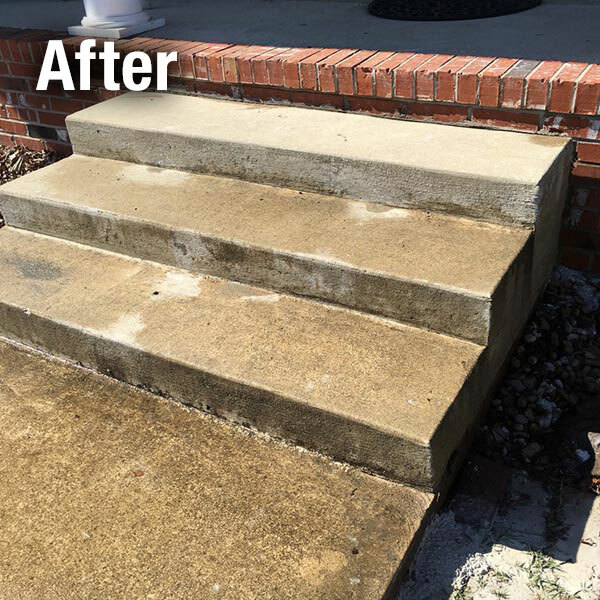 Our concrete step repair method can be a very effective alternative to the expense of tearing out and replacing your concrete steps. 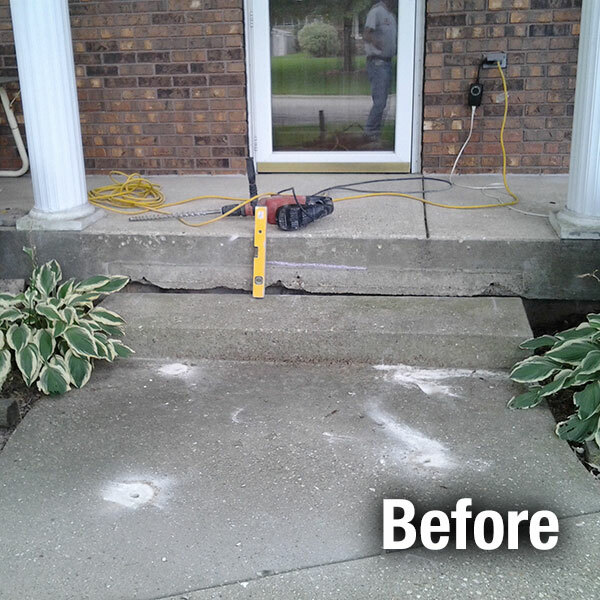 A-1 Concrete Leveling Cleveland West’s experienced concrete leveling contractors have the expertise to carry out your concrete step repair project from the beginning stages to its completion. We will explain the process to you so that you will know what to expect and have confidence in our methods. 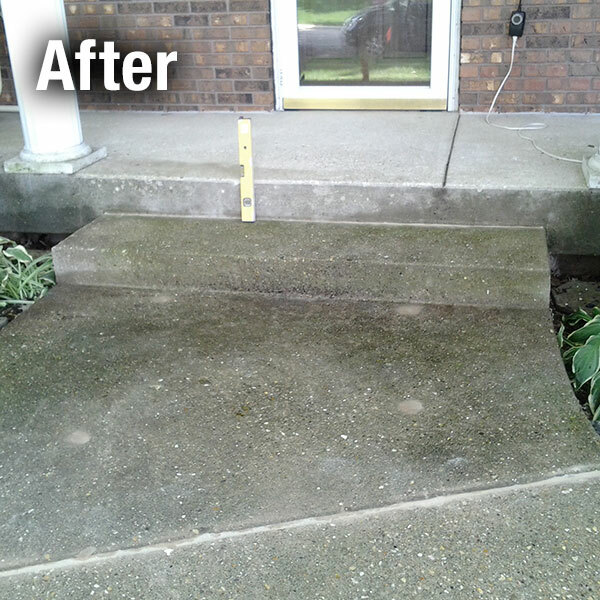 We offer concrete step repair in the communities west of Cleveland area. Contact Us today for a Free Inspection of your Concrete Steps!